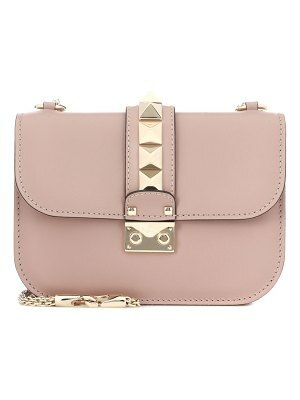 Hand-applied pyramid studs give Valentino Garavani's 'Lock' bag its inimitable finish. 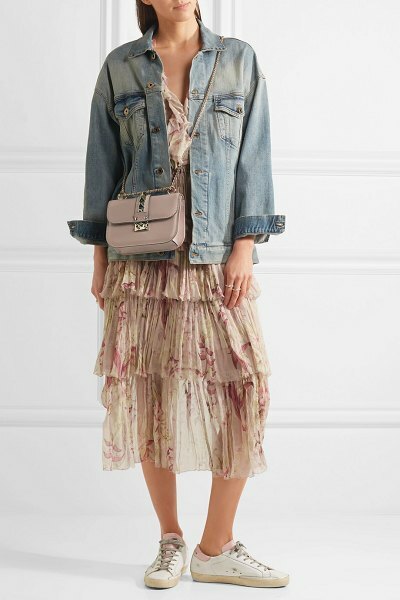 This blush leather design has been crafted in Italy with a compact canvas -lined interior that will easily house your smartphone, makeup compact and wallet. 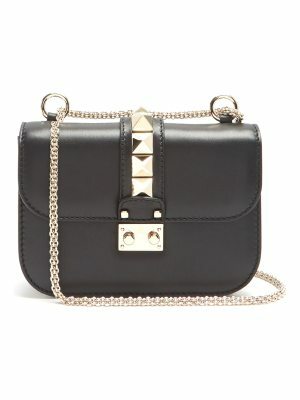 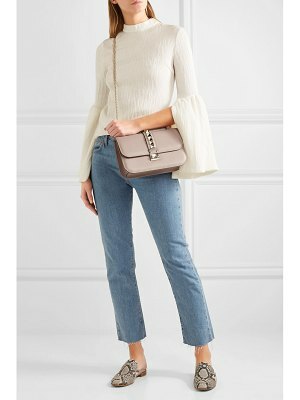 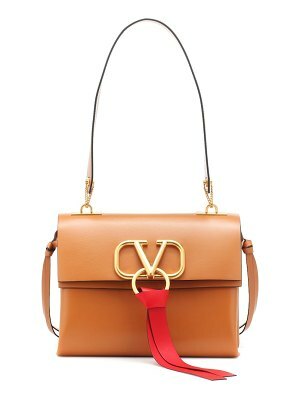 Carry it as a clutch or as a shoulder bag using the optional chain strap - it's long enough to wear cross-body.